Many parents have trouble admitting that their teen needs therapy. This is precisely why many teens are not admitted into traditional rehab facilities when they truly need assistance. If your teen needs help and you are exploring your various options, it is highly recommended that you consider working with Rites of Passage and their Wilderness Adventure Therapy in Washington State. Through Rites of Passage, you will see your teen's life blossom as they find their passions again in life that do not involve drugs an alcohol. At Rites of Passage, our therapies are special. The reason that our program is so special is that we have the advantage of being located in the wilderness. Where this becomes greatly beneficial is that we are able to provide teens with traditional rehab therapies that are located in a sensational locale. It is through our unique location that we are able to see teens thrive and ultimately, overcome their addictive tendencies. In order to ascertain whether Rites of Passage is the proper fit for your teen, it is highly recommended that you reach out to one of our highly qualified counselors and discuss the specific details of your teen's case. 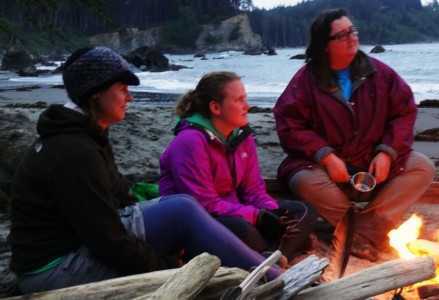 In order to learn more about Rites of Passage and our Wilderness Adventure Therapy in Washington State, it is highly recommended to reach out to us today by dialing (800)794-0980. By contacting us, you will be able to explore a potential viable option for turning your teen's life around before it is too late. Thus, please do not hesitate to reach out to us today. We would be elated to assist you in providing your teen the specialized therapies that they need to successfully overcome their substance addiction once and for all.